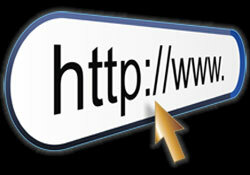 Your Website is the center of your online presence. What does it say about your business? While the actual text on your site may talk about your company and what you can do for your customer, what does the site itself say to them? Is it well-designed and pleasing to the eye? Does it load quickly? Do you make it easy for your visitors to find the information they're looking for? Is the content top quality, recent and useful? Your Website is very often the first experience a potential customer has with your business. What it says to them, both literally and metaphorically, is extremely important. As the saying goes, you never get a second chance to make a first impression. Remember that your competitors are always just a few clicks away. From simple company sites consisting of a few pages to large e-commerce storefronts with thousands of items, our talented design team can create a Website that will make a positive first impression with your customers. Like everything else we do, we guarantee it. Call us today at 623-748-0360 so we can get started building you a Website you can be proud of!